The sweeping Coronado Bridge transports visitors over San Diego Bay to the beachy laid-back paradise of Coronado, California. When my business meetings concluded in the city, a $10 Uber ride carried me to this world of resort grandeur surrounded by sparkling golden sand and gentle ocean breezes, in less than 30 minutes. The enchanting elegance captivates me, in this casually sophisticated beach town. This return visit was no exception. Coronado is a city of 25,000 residents and miles of warm Pacific Ocean beaches. 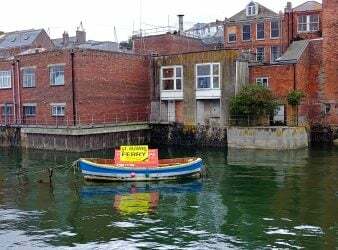 The beaches, military air drills, and boating activities are a backdrop to quiet streets lined with historic homes, well-manicured lawns, and flourishing gardens of vivid colors. Upon arrival, my first adventure was The Historic Tour of Hotel del Coronado presented by the Coronado Historical Association. During this 90-minute educational tour, I learned that the elegant Queen Anne-style hotel, constructed in the late 1800’s. served as a resort destination for game hunters, who journeyed to nearby North Island on horseback for hunting expeditions. The tour begins on the lawn of the hotel’s front plaza near Orange Avenue. 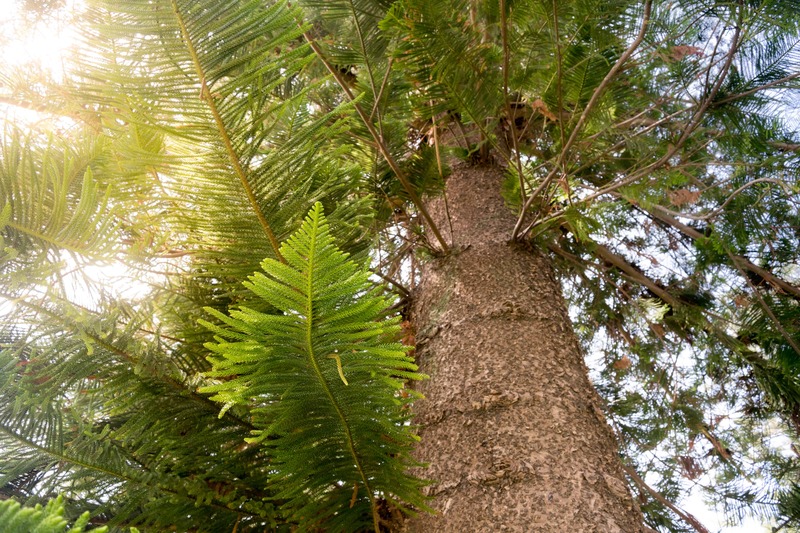 This grassy area boasts several sky-scraping Norfolk Island Pine trees. Among these trees stands the first outdoor Christmas tree to display electrical lights. In December of 1904, this tree stretched 50-feet tall. Its 250 colored lights were powered by an electrical cord extending from the main hotel electrical source. The tree is now over 140 feet tall. In comparison, the first outdoor lit tree at Rockefeller Center was in 1933. 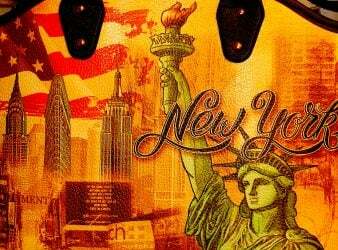 Today, Rockefeller Center trees sparkle during the winter season with more than 25,000 Christmas lights. 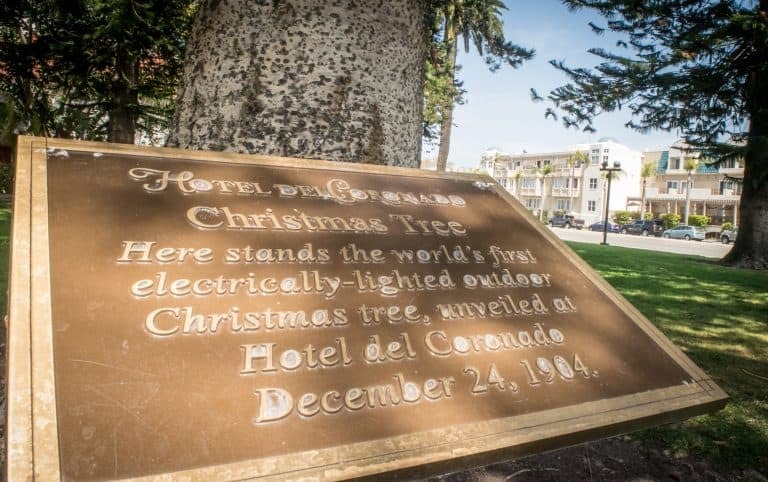 The availability of electricity into homes has generated an American culture very much accustomed to extravagant outdoor Christmas light displays, and the concept is attributed to this first tree lighting ceremony at the Hotel del Coronado in California. After the tour, I explored nearby galleries and shops and found myself at The Pacific Western Bank building, which opened as the Bank of Commerce & Trust in 1911. 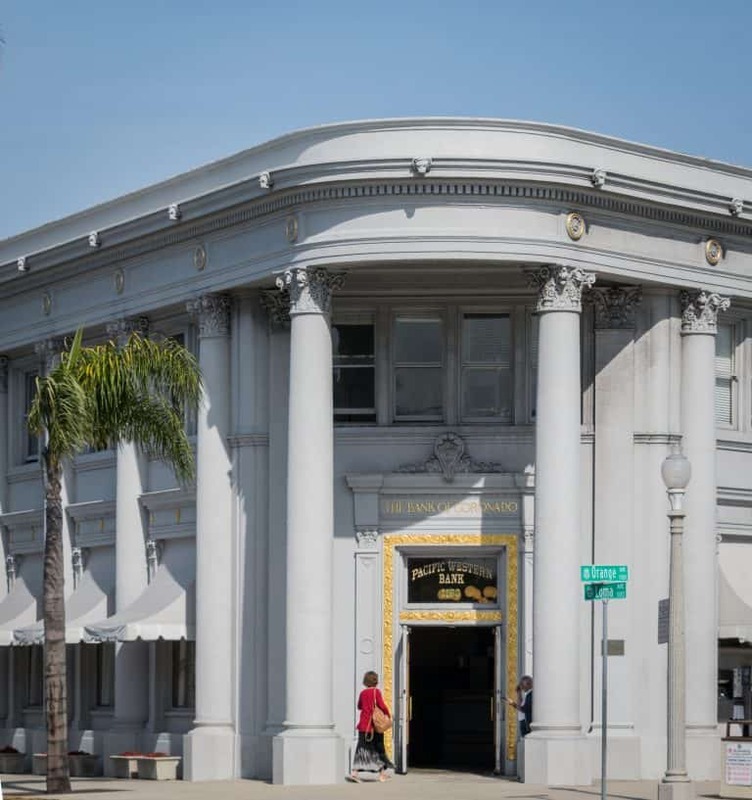 This neo-classic structure mimics the curve of Orange Avenue while maintaining strong architectural lines using Corinthian columns accented with delicate floral detailing overhead. The building’s leaded stained glass windows and colorfully tiled stairways represent the era’s popular Beaux Arts style. 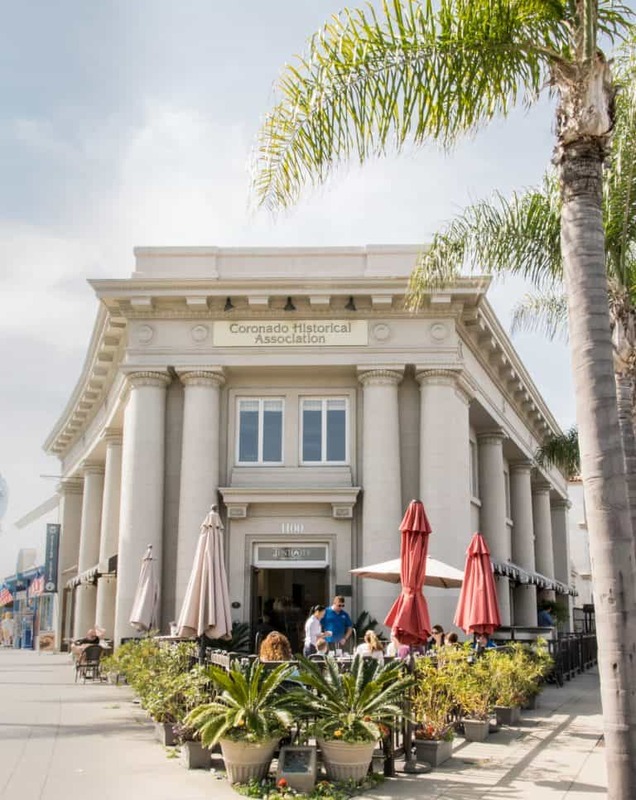 This two-story building serves now as home to the Coronado Historical Association, the Coronado Visitor’s Center, the Coronado Museum of History and Art, a bank, a live theater auditorium, boutique shops, and several restaurants. One triangle corner entry is now home to the Tent City Restaurant, where I pause my explorations for a light lunch on the outdoor patio, surrounded by gentle ocean breezes and sunshine. I’ve become a fan of boutique inns, especially those with character and history. The 1906 Lodge is conveniently located two blocks from the beach with 17 guest rooms. Jointly designed by Will Sterling Hebbard and Irving Gill, the unique style of these collaborating California-based architects stands out in the textured stucco façade and multiple arched entryways. The main building, built in 1906, was originally a boarding house. History? Check! Character? Check! 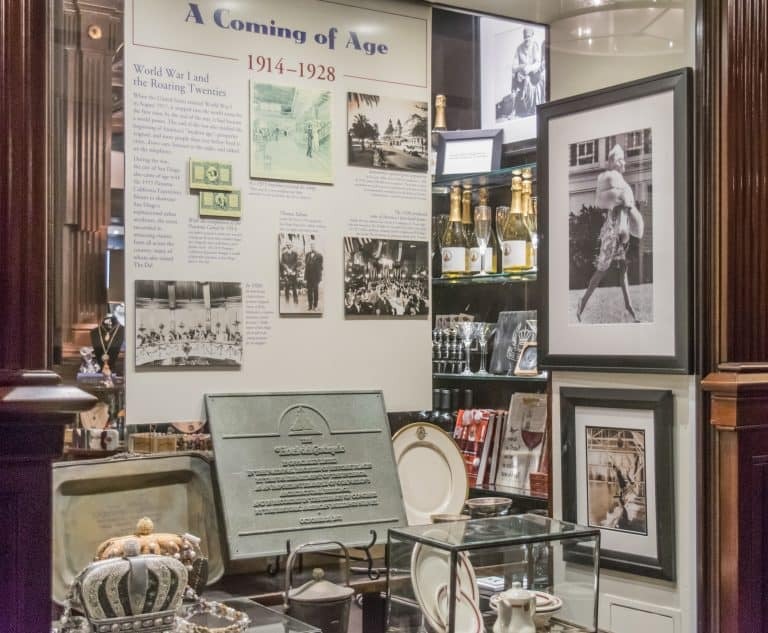 Today, this original building houses five second-level guest rooms, the hotel guest services, dining and common spaces, the underground parking garage, conference rooms, and a business center. The entry level seating area showcases a mission style brick fireplace with an unexpected arched window centered above the mantle and a split chimney. 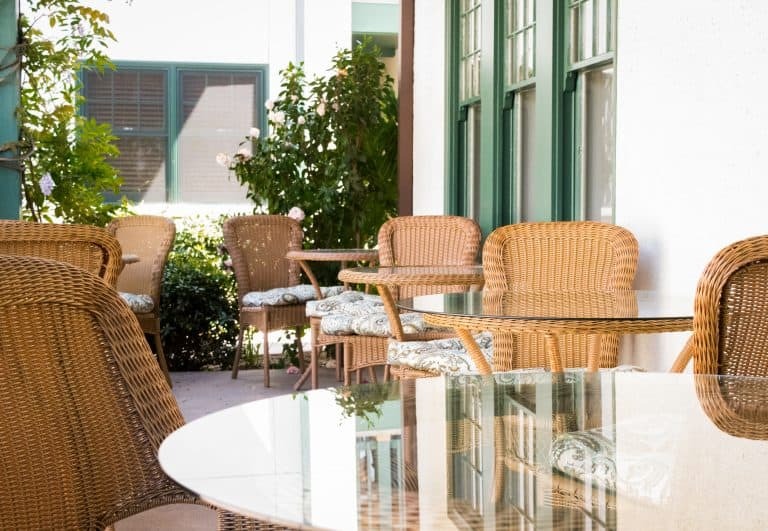 Leaded glass windows throughout this restored building give a strong presence of the pure beauty of Coronado’s past while setting the mood for a relaxing stay in this carefully preserved inn with many modern updates. After confirming my arrival at the front desk, I walked the garden-lined path to my first-floor room in a newer building. Rooms at the 1906 Lodge are named (instead of numbered) and decorated with a gentle nod towards Coronado’s storied history. My room is The Plunge, named for the Tent City bathhouse that featured a saltwater pool and diving boards. The Plunge at 1906 Lodge is everything I could ever ask for – elegant and beachy, with subtle sophistication. The outdoor patio, with two wicker-style chairs and plush cushions, beckon me to sit for a while, but not just yet. As I enter the suite, a couch and lounge area are at the main entry – spacious, homey, and relaxing – just the perfect place for the end of a busy day. The creamy beige interior décor is a soothing background for the artwork and beach-themed decorations. An afternoon sun peeks in through wood-slat window coverings. Adjust the blinds to welcome even more of the bright sunshine and to view the courtyard’s lush oasis garden, including the award-winning wisteria with its final lilac-colored blooms of the season. Over the king-sized wicker frame bed, the Tent City artwork provides a glimpse into the early days of this resort town. 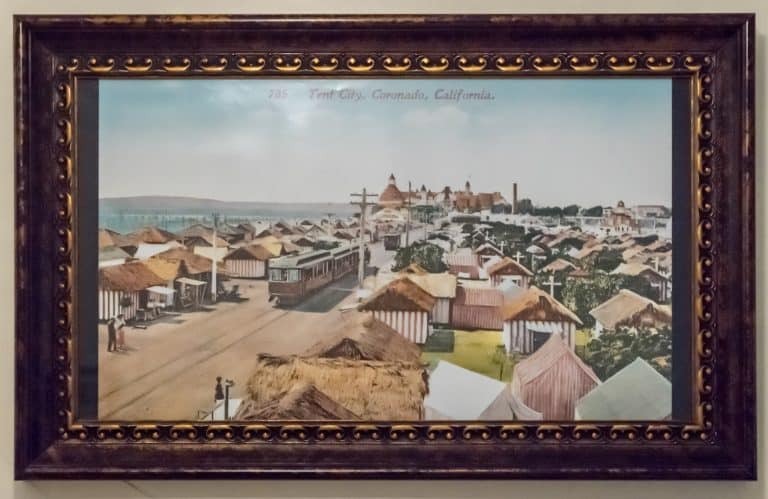 Opened in 1900, Tent City stretched for about a mile along the beach near the famous Hotel Del Coronado. With more than 500 tents, these accommodations were priced at $1.50 per week, compared to the resort’s hotel rooms with prices beginning at $3.00 per day. Affordable beachfront lodging appealed to an even wider audience of potential visitors to this resort destination. Near Tent City, The Plunge facility was a bathhouse and water sports entertainment facility. Saltwater pools helped vacationers adjust to the salt of the ocean waters and was considered to be medically therapeutic. A framed wall hanging over my jetted oversized tub commemorates “The Plunge” as a bathing suit beauty peeks towards the viewer before making her dive. 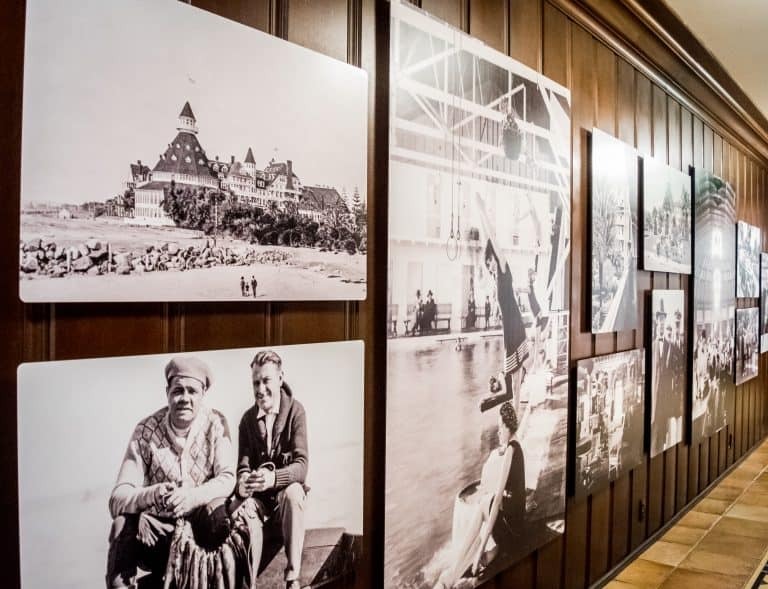 The pool and swimsuit-clad vacationers are in many of the historic photographs and postcards of the early 1900’s on display throughout the inn. The bathroom includes a full shower, extended countertop, luxury robes, and a generous assortment of toiletries – bath salts, shampoo, lotions, and more. Cookies and small pastries are available during the afternoon in the dining area. 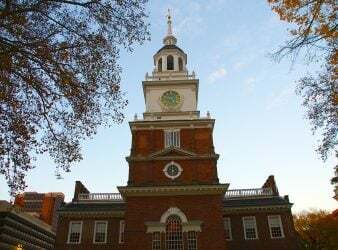 At 5:00 pm daily, guests are invited to gather in the original historic building for light snacks and wine. During this time, the busy day shifted to evening. Hotel guests shared in conversations about the day’s adventures and their upcoming travel plans. The onsite kitchen serves a complimentary breakfast buffet. Hot breakfast entrees, fresh baked goods, cereals, pastries, and fresh fruit are provided in the dining room. Guests can choose outdoor seating in the courtyard. Blueberry pancakes, fresh fruit, and orange juice were the perfect start for my day of Coronado explorations. 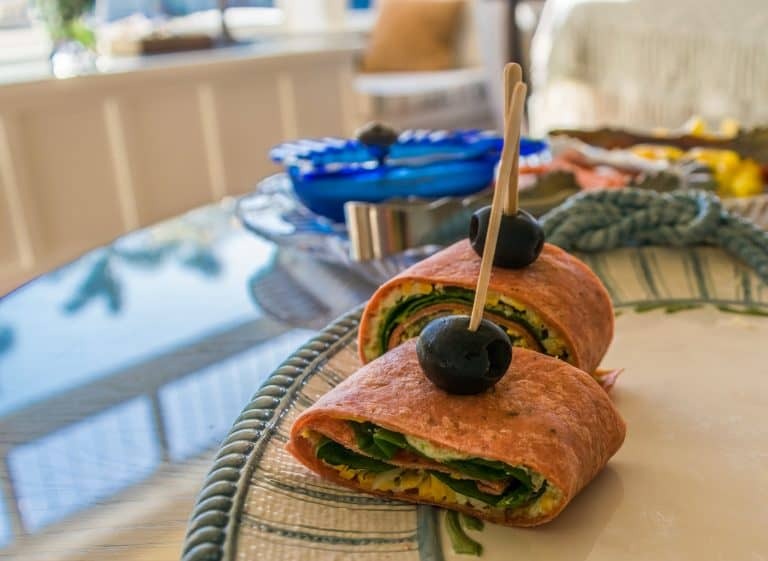 More than 100 popular recipes fill the pages of The Kitchen at Four Sisters Inns, a hard-cover, full color recipe book available for purchase at the front desk. The 1906 Lodge offers such amenities as a business center, wi-fi access, ice machines, in-room or accessible refrigerators, and area maps. Also, guests can arrange for access to the local gym – to use the fitness equipment, swim in the pool, or climb the rock wall. While walking is easy on the well-marked streets, street-side vehicle parking is often scarce. The 1906 Lodge offers secure underground parking. They go a step further by providing access to bicycles or a golf cart for care-free transportation during your stay. Using the city’s walking trail map, I wandered and explored, admiring the early 1900’s architecture – carefully preserved in homes and city buildings. I ate lunch again at Bank of Commerce & Trust building. The Islander Restaurant’s menu suggests, “Get hooked on fresh seafood and local beer.” They hooked me after only one visit. 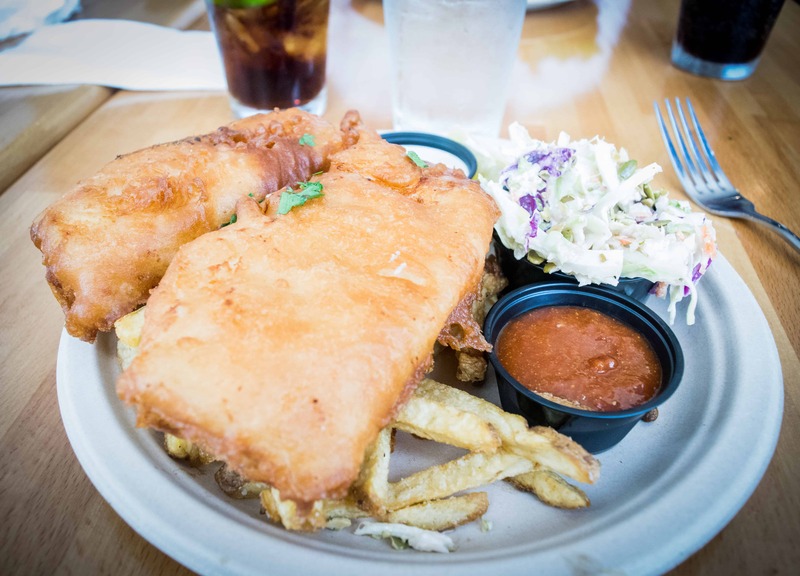 Local and imported fish selections can be ordered as a tacone, grilled, fish ‘n chips, or as a seafood salad. Daily rates are visible on the outdoor menu display. The cod fish‘n chips platter at Islander Restaurant provides a generous seafood portion, atop hand-cut Kennebec fries. A roasted pumpkin seed slaw accompanies the platter. The double horseradish tartar sauce was too fiery and bitter for my liking. However, the restaurant’s regular tartar sauce was a delicious substitution. My time in Coronado ended much too soon but leaves me with many fond memories of discovering Coronado’s past. The city’s stunning views, abundant outdoor activities and celebrated beach lifestyle make this easy-going resort location all the more appealing. 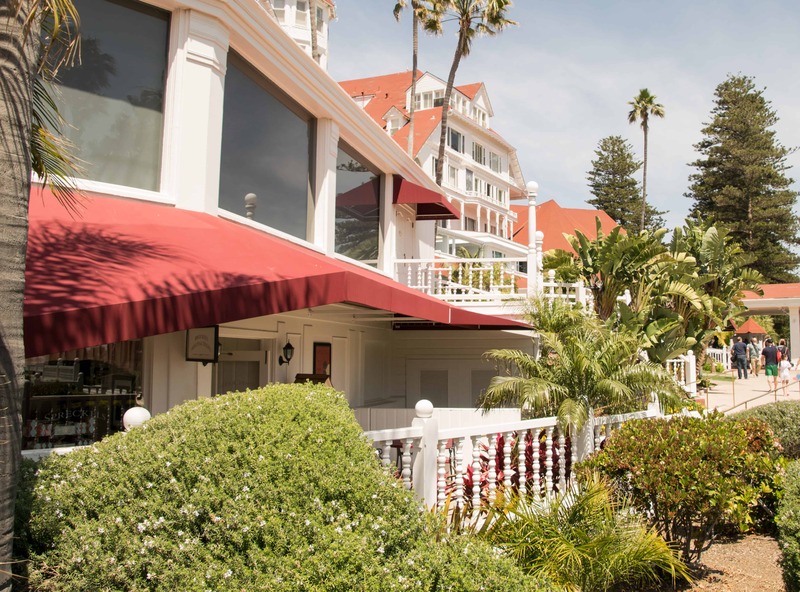 The Historic Tour of Hotel del Coronado is a small group walking tour with docents from the Coronado Historical Association. The tour fee is $20 for anyone over the age of 12. The Coronado Historical Association website provides reservation confirmations and accepts credit card prepayments. The Coronado Visitor Center offers complimentary maps and brochures along with discount ticket information. 1100 Orange Avenue. (619) 435-7242. 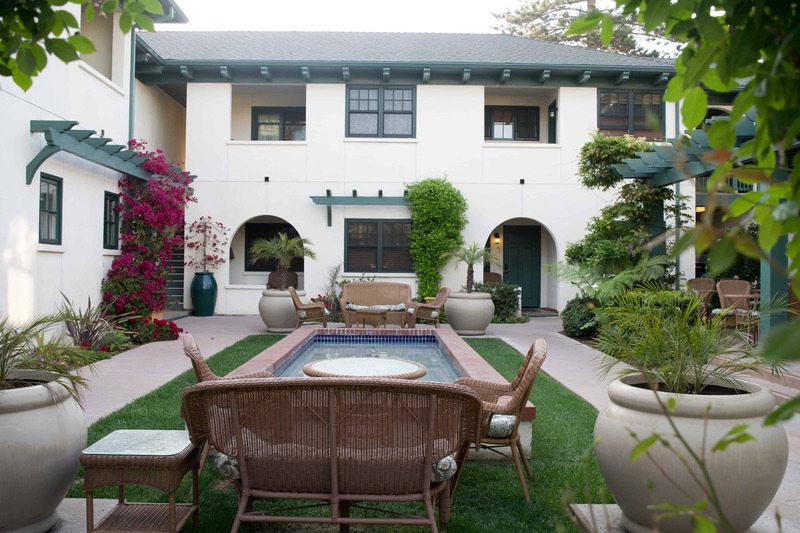 1906 Lodge is a Four Sisters Inn property located at 1060 Adella Avenue. Ask about the Frequent Sleeper loyalty membership and benefits. (609) 437-1900. 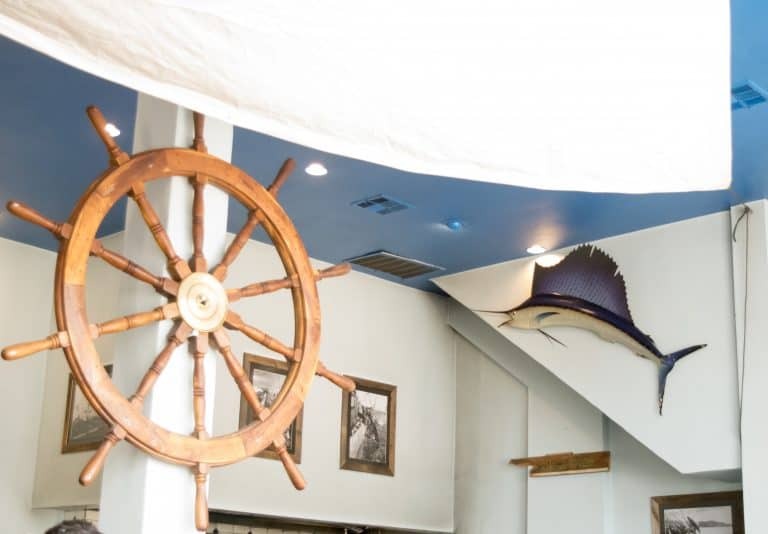 Visit Islander Restaurant at 1166 Orange Avenue. (609) 435-2121. Most of the residential areas near the beach are easy to visit by foot. Admire the well-tended homes, gardens, and public parks as you stroll. However, some streets towards the bay are major thoroughfare roads without pedestrian walkway signals for crossing streets. The hotels and Visitor Center can assist with mapping an appealing (and safe) walking or biking path. Coronado is a great place for a 48 hour getaway. Once there, breathe the sea air, shed your stress, and explore some of early southern California history.